Daily brushing and cleaning between your teeth is important because it removes plaque. If the plaque isn’t removed, it builds up and can cause tooth decay and gum disease. You should brush your teeth at least twice a day and toothbrushes should be replaced every 3-4 months, or when the bristles get worn or frayed. 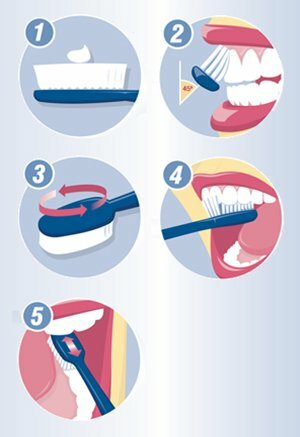 The five steps below show you how to brush your teeth correctly. good job of cleaning teeth.